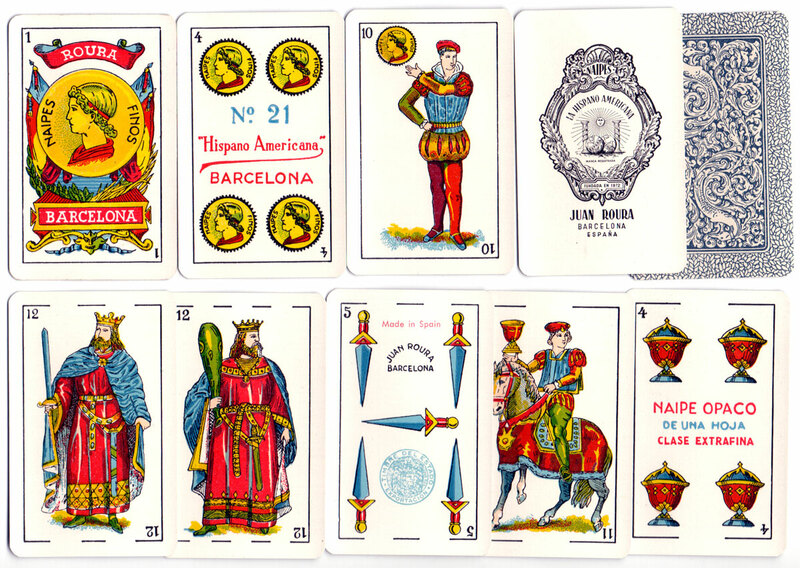 Above: cards from Naipes Finos No.21 "Hispano Americana", in the Castilian style, by Juan Roura, Barcelona, c.1940. 40 cards + extra card. 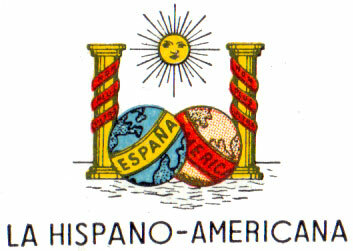 The five of swords has the exportation tax stamp which implies that these cards were shipped overseas. 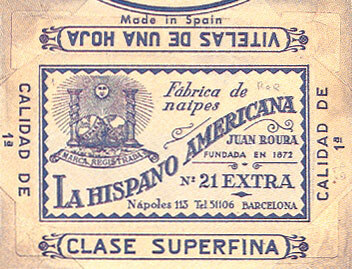 A wrapper is shown below.